Hi guys it's been long time since I wrote a blog post. 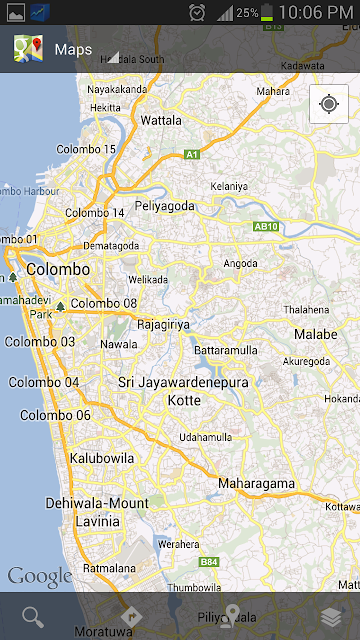 So now in this post I'm going to explain how to use google maps data for offline usage. This will be very useful for people who is limit with their mobile data budgets. Then enable your wifi connection. This will take around 80 MB maximum for the selected map area. Left Click --> Select Offline Maps. Select New Offline Map and Select the area you want offline data. The size will be vary according to your selection of area. Now enjoy Google offline maps in your android device..